The Food Alphabet and More: F1 Hotel Manila GC Sale is back with up to 60% off on room and banquet packages! 1. Order /reserve your gift certificates by calling F1 Hotel Manila at (02) 908-7888 ext. 6448 and look for Con Dequito. Ordering of gift certificates is from Mondays to Fridays only, from 9:00 AM to 5:00 PM. 2. Gift certificates may be picked up within twenty four (24) hours after placing your order. 3. Reserved gift certificates can be picked up daily (Monday to Sunday) from 9:00 AM to 9:00 PM starting July 16 until August 16, 2016 only. 4. All gift certificates for pick up will be available at the Front Desk reception located at the 5th floor of the hotel. 5. All payments can be settled thru cash or credit card. 6. Stolen or lost gift certificates shall not be replaced. 7. All gift certificates are transferable but are not convertible to cash. 8. Gift certificates cannot be combined with other hotel promotions, benefits and/or privileges such as the Senior Citizen discount or PWD discount. 9. Hotel terms and conditions apply. F1 Hotel Manila is located at 32nd street, Bonifacio Global City, Taguig City. For inquiries and reservations, please call (02) 908-9888. 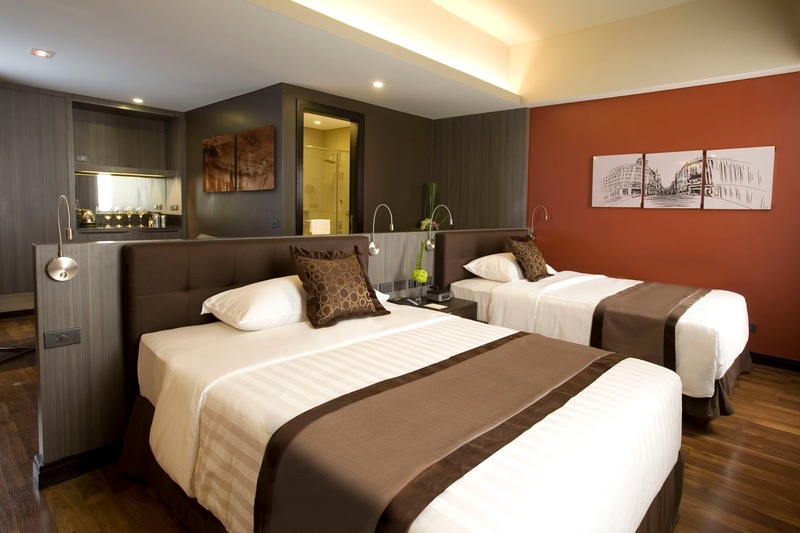 For online booking and more information, please visit www.f1hotelmanila.com. 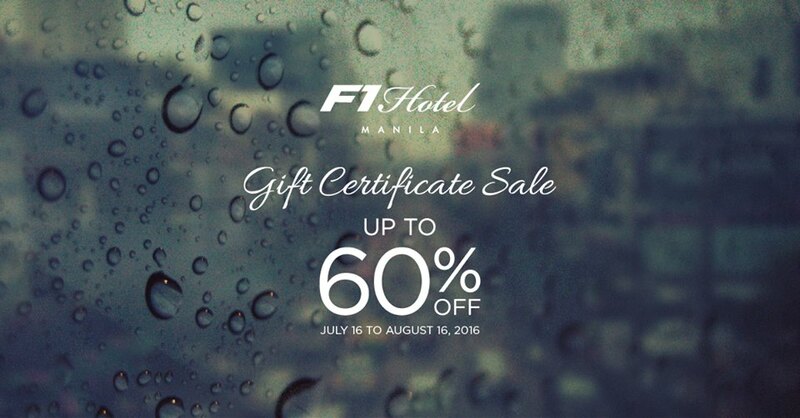 For hotel updates and special offerings, follow us on Facebook, Twitter and Instagram @f1hotelmanila.